What did the fam do over the labor day holiday at the ranch? Well, I’ll give you three guesses, and the first two don’t count. We worked, of course! 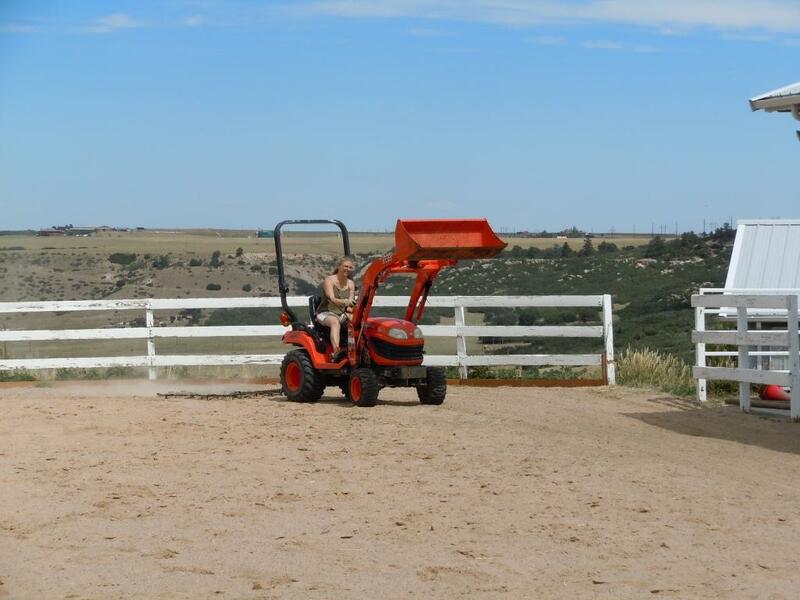 Dad was feeling charitable, so he let me do some of the fun chores, like grading the arena. I drove the tractor around, pulling what looks like a net of spiked chains, to break up the big dirt clods and make the footing in the sand nice and soft again. It was kind of a dusty job, but very satisfying. Trying to figure out how to make sharp turns, so that your tire tracks always get broken up, is kind of fun for someone with my sort of personality. I also helped bring some bales of hay up from storage in the lower barn, and of course, I moved poop from one place to another. That one is pretty much an every day chore though. Anyway, if you had a three day weekend, I hope you enjoyed it! I enjoyed mine…working outside with family and goofy animals is fun, even if it is working. 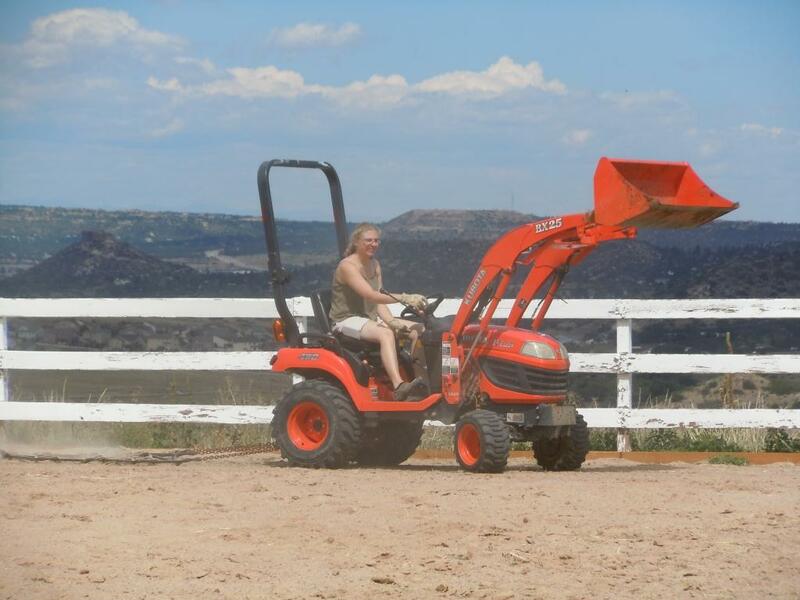 This entry was posted in animals and tagged arena, dust, goofy animals, ranch life, tractor, tractors, work, working. Bookmark the permalink.